One-time fee. Lifetime membership. More royal rewards. We've royally upgraded our loyalty program. Now, with just a one-time fee of $15, members get access to all of the loyalty program perks for life. No more renewals. Just more rewards. Earn one point for every $1 spent on food purchases. Receive a $20 reward for every 200 points. Get 150 bonus points at signup. Get a free appetizer or dessert on your KOTH anniversary date. Receive invitations to exclusive events like monthly KOTH Appreciation Nights that feature half-price growlers, a complimentary small bite and beer release from 6:00 - 8:00 pm, and double points all day! Get exclusive updates from your local brewer about upcoming releases and events. 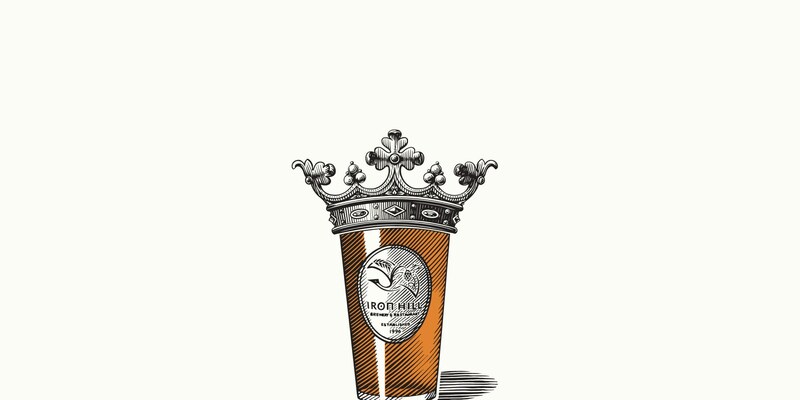 To sign up for the King of the Hill program, visit your local Iron Hill. Cost of membership is $15. Membership does not require a renewal or renewal fee. Membership remains active with at least one transaction in a 24-month rolling period. If membership becomes inactive, all points and rewards on the account will be forfeited. Points cannot be earned on the purchase of alcohol, tax, tip or the purchase of gift cards. Points can only be awarded to the member paying the bill. Membership cards are non-transferable and members must have card present to redeem rewards. Rewards do not hold cash value and cannot be used to purchase gift cards. Iron Hill reserves the right to modify Rewards from time to time.